Many people out there will know that there are so many amazing benefits to the practice of yoga. People not only get to increase their endurance and flexibility but they also get to develop a practice that connects the body, mind, and spirit. Many people will quickly develop a passion when taking classes as they get to unwind from their busy day and can give themselves the chance to check in with their bodies. There are also all sorts of different practices out there ranging from hatha, to hot options, to yin, to power flow. But no matter the type of practice that someone has, it is likely that they feel like they have grown as a person since incorporating yoga into their lives. As this is the case, there are many dedicated students out there who want to take their practice to the next level. For many, they will love it so much that they will begin to search for a yoga teacher training course. A yoga teacher training course will not only give people the ability to teach yoga to others but it will also help them learn the correct postures, sequencing, and alignments. People will get hands on experience on what it is like to support another person and will also gain confidence in their own practice. Many graduates walk away feeling like they have not only evolved as a person but that they are able to go away and start their career as a fantastic yoga teacher. When it comes to finding a yoga teacher training course, it is important to find the best. This is not only because people want to get their money’s worth when they pay for a course but also because they want to get the most benefit from it. As this is the case, it is important to find a school that has a great philosophy. A school such as this can usually be found at an established studio such as ourselves here at Ihana Yoga where classes are also offered. This means that those who offer teacher training are actively practising themselves and so will have plenty of experience. Furthermore, we believe that our personal philosophy is a great one to pass on to future teachers. We believe that each and every student is special and we aim to create a ripple effect of health, peace, and happiness in their lives through the practices of yoga. Our students receive a personal key tag which allows them to scan themselves into a class and we then receive valuable information about their personal health. This allows us to offer personalised guidance like no other. In addition to our holistic philosophies, we also encourage people to enjoy their practice wherever they are at. No two people are at the same level and we don’t believe in pushing people to the limits or to encourage students to “keep up” with other students. Instead, we aim to encourage mindful movement which will help our students get in touch with their bodies and can help promote body awareness. Because of this, we always offer variations to different poses, and we encourage our teachers in training to do the same. Most great yogis out there will agree that learning never ends. Because of this, it is important that graduates have somewhere to go where they can continue to learn after their initial yoga training. 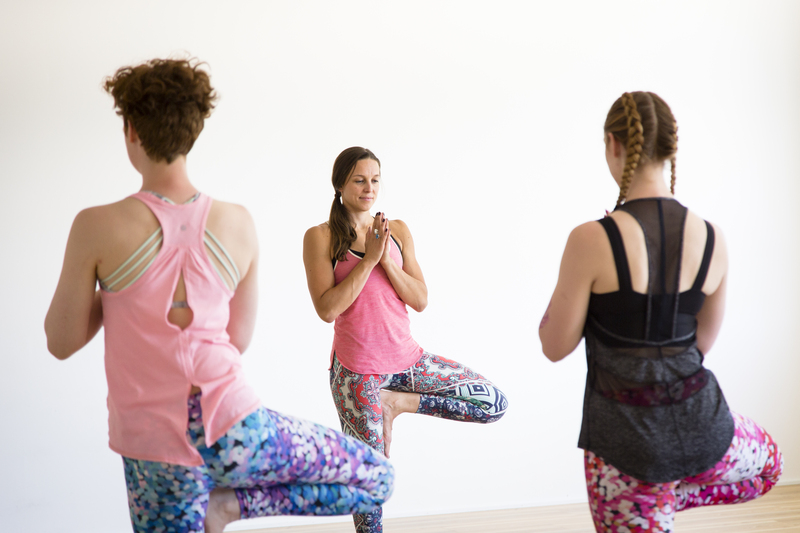 Here at Ihana Yoga we offer a postgraduate yoga teacher training course in Adelaide and Melbourne which allows teachers to develop and grow their skills as well as become more acquainted with the anatomy of asana. Furthermore, teachers are able to progress from a 200hr qualification to a Yoga Australia Level 1 registered teaching level (350hrs). A great teacher will always be developing their practice and so participating in a training course for graduates can be a great way to achieve this. Students are able to dive into the ethics and responsibilities of teaching as well as further explore energetic anatomy and yoga sutras. They are able to build upon their pranayama techniques as well as the principles of teaching meditation. There is always something new to learn or improve upon when it comes to a yoga practice, so it is important that people find a studio that allows students and teacher alike to ever grow, evolve, and develop.